The purpose of this site is to introduce educators and students to research investigating how human activities have influenced fire and vegetation in the past and to provide teaching materials for incorporating fire science into courses at the high school and undergraduate levels. The resources provided here explore the relationship between how past and present human activities, particularly fire, alter important ecosystem dynamics. Information and resources come directly from results of research being conducted worldwide on the causes and consequences of human-set fires in different settings. Results from research conducted by our research team can be used by teachers to inform teaching on the subject of human impacts. 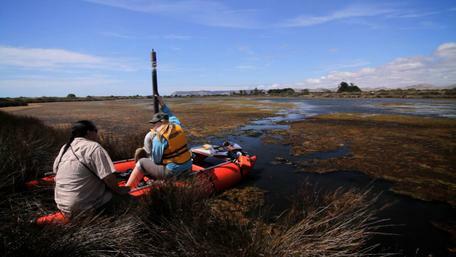 We explain how paleoecological research approaches are used to learn about the past. For more reading on fire-related topics, see publications by our research team listed on the Wildfire PIRE website. The teaching materials include a humans and fire lab activity, a series of case studies by students that serve as a model for understanding current concerns about increasing frequency of large fires worldwide, and links to a series of web pages explaining how to use investigative case-based learning. Why study human-fire-climate change interactions? Fire is a critical component of the earth system, influencing nearly all biomes of the world and plays an important role in regulating ecosystem processes and biodiversity. Human activities interact with climate to alter fire activity in different ways and impacts vary depending on the type of ecosystem. In recent decades, fire activity has increased in many temperate forests worldwide, even in ecosystems where natural ignitions are scarce. This increase begs question of whether climate change, human ignitions, land-use change, and/or altered vegetation are responsible. Human activities interact with natural climatic conditions that control the timing and number of ignitions that occur in a given landscape, the type of vegetation and fuel conditions (e.g., available biomass and fuel moisture) and fire weather (temperature, wind speed, drought etc.). Exploring interactions between humans, fire, and climate in different settings helps inform our understanding of which environments are most vulnerable to changing climate and land-use and can help guide management to mitigate the negative consequences of increasingly large fires that pose risk to human communities worldwide. The teaching resources provided on this site allow you to teach about human impacts on the environment using both results from research highlighted here and information from your area. 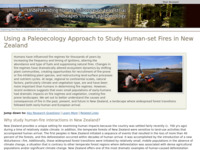 Paleoecology in New Zealand highlights results from research investigating a dramatic example of how early humans and Europeans transformed a landscape through the use of fire, and how the New Zealand example helps us understand the future vulnerability of similar settings to climate and land-use change. An overview of our research team's overarching research questions and motivation for conducting research in temperature ecosystems worldwide can be found by following this link to an explanation about how paleoecological approaches are used to learn about the past. A set of pages that provide in-depth instructions for educators on how to implement a case study project, a pedagogical approach known as "Investigative case-based learning"
Wildfire Visualizations from On the Cutting Edge. Case studies - Megafires: Rare Events or the New Norm? Megafires: Rare Events or the New Norm? - This collection of case studies was developed by students in the seminar course, "Megafires: Rare Events or the New Norm?" taught in the Department of Earth Sciences, Montana State University. The cases examine the science behind the outbreak of large and intense 'mega-fires' in the western US, Australia, and elsewhere. Students investigated what causes these types of fires and why they are showing up in headlines around the world. Students evaluated claims that these fires are unprecedented and also researched management techniques to prevent and fight fires. Most of the case studies also include a learning activity, related links, and a resource/reference list. Browse this set of case studies to learn more about fire in the earth system and the 'megafire' phenomenon. Learn more about this teaching approach, investigative case-based learning. This set of pages provides in-depth instructions for educators on how to implement a case study project. 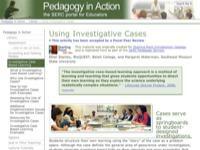 This teaching module is part of the Pedagogy In Action project. 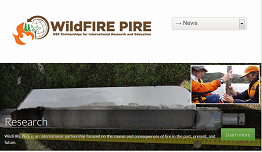 The WildFire PIRE Project is an international partnership focused on the causes and consequences of fire in the past, present, and future: a partnership that brings together an array of fire scientists and managers to learn from each other and provide knowledge about fire's role in the Earth System. Our vision is be a leader in interdisciplinary discovery, education, and engagement focused on wildfire in temperate ecosystems, starting in New Zealand, Australia and the western U.S., but with the goal of extending fire science more broadly. 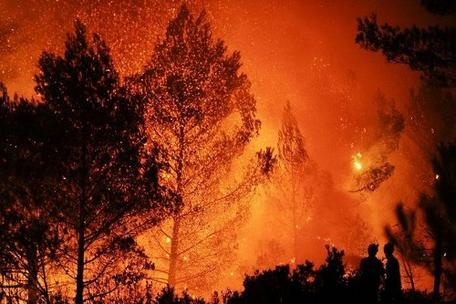 Paleoecology in New Zealand offers one of the most dramatic examples of human-caused deforestation through the deliberate use of fire. New Zealand's vegetation and fire history provides an important case study for understanding the consequences of temperate forest transitions that are occurring worldwide today.